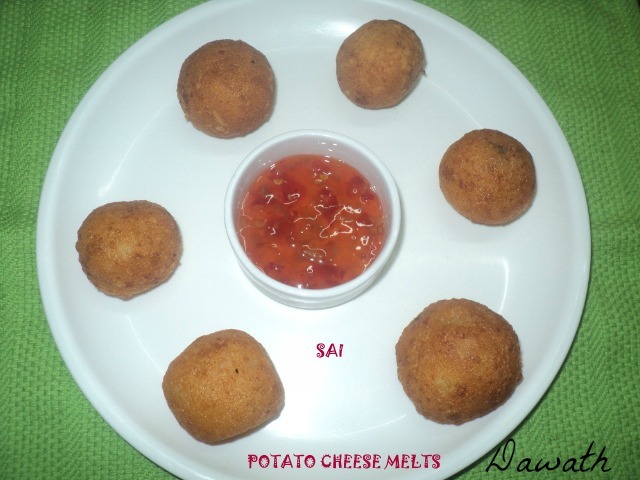 I adapted this super hit cheese melts from my Fb friend Aparna Kamath’s blog.This is my daughter Sanjus fav dish.I have prepared this dish several times on her demand.This tastes better than the one we get in restaurants.This is a very easy peasy recipe,I had prepared this dish sometime back and thought of sharing in the blog.This makes the best vegetable starter. Boil,peel and mash the potatoes. Add the cornflour,salt,amchur powder and chilly powder. Mix 4 tbsp of paneer along with 2 tbsp of grated cheese and salt to taste. 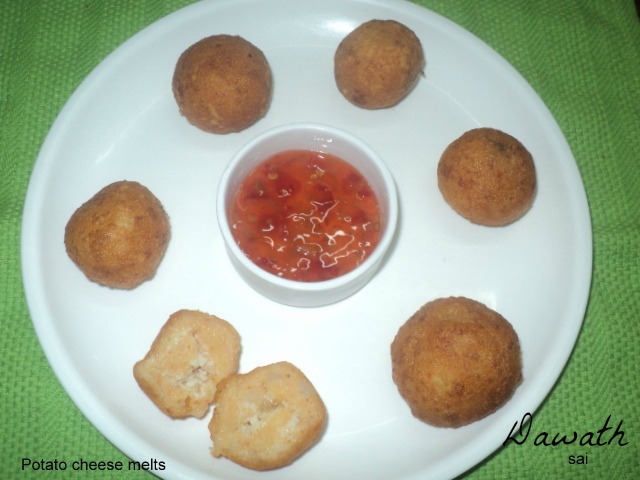 Fill this cheese mixture into the flattened potato patties. Shape this into balls and deep fry until golden brown. You may also add chopped green chilly for extra spice. Serve it hot with sweet chilly sauce.